Note: Facebook has become a social and business bandwagon that's rolling out yet another sweeping update, putting more about our lives online for all to see. What do you think about it? Voice actor Bobbin Beam starts off - and we'll enjoy your COMMENT below. On CBS's 60 Minutes program Sunday night, Facebook founder Mark Zuckerberg was interviewed by Leslie Stahl - at great length. In the interview, we learned that Facebook is changing its look - again. More content, more information, and more integration into the fabric of people's lives will be embedded into Facebook's framework. And perhaps, a little less privacy. What to me had been a cool place to hang out and be social - share photos, anecdotes with friends and relatives - has become somewhat an unruly cacophony of in-your-face commercialism, laced with a lack of privacy. I've been thinking about how I really feel about Facebook for a long time. I'm probably being thought of as anti-social with the following thoughts - but it's not the case at all. I just don't like being SOLD all the time. I don't send little green plants. I don't "like" a lot of things because my account there got hacked once, so I'm pretty careful about what I click on. It's a hassle I don't need. I don't have a "fan" page. And I don't click on stuff that allows access to my personal information. Yes, I'm kind of a contrarian sometimes. And I have also been known to be a forward thinker, a thought leader, and a person who definitely likes to do her own thing. I do engage in social networking - which includes Facebook, Twitter, etc. and have a lot of online "friends" - many of whom I haven't ever met (friends of friends). I use FB to say "Hi" once in a while, and to share some laughs and experiences. But I don't use it as a platform to foster sycophants, brag, boast, or beg for attention. I just am who I am. I am thankful that I'm comfortable enough in my own skin that I have the courage to be who I am, and state how I feel on a given topic. I'm comfortable with my need for privacy. I don't state what I eat for breakfast and where. And I don't care what Ashton Kucher eats for breakfast, either. Like Jim Rohn, the motivational speaker and author, kept saying in one of his inspiring speeches, "Walk AWAY from the time wasters!" Come on Bobbin, tell us what you really think! I use FB and am perturbed by its presumption of who I might like. As a voice artist I am offended by the horrendous Orwellian grammar! AMEN!!!! ... I do not use Facebook or engage in this so called "Social Networking Revolution" for some of the same reasons Bobbin mentions. My privacy is important to me. You can't excel in ANYTHING if you don't live a life somewhat recollected in what truly matters at your heart. Scattering yourself mindlessly over all over the planet is simply a distraction. I know that many will not agree with me and ... sure ... I'll miss out on some VO gigs because of it, but my peace of mind is more important to me than making sure the world gives me a thumbs up. 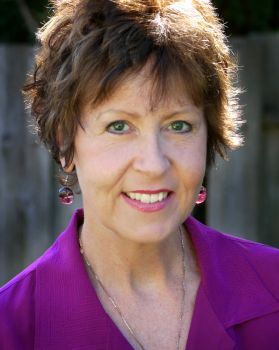 Great article ... thank you, Bobbin, for moving beyond "group think" on this issue. I have just read with interest the article by Bobbin Beam about her opinions on the latest changes to Facebook. I am on FB and have quite a few friends, but like one of the commenters, my friends are either real friends or people with whom I am on blindness-related email lists, and have some acquaintance with. I will continue to be on Facebook, but I've heard that I have the option to keep the settings I have now and I intend to do that. Great post, Bobbin and I think you are saying what many have been experiencing, as well. It's gotten to be too much and the fact that Mr Zuckerberg feels the need to "Change" his creation amplifies the fact that there was a need for change in the first place - i.e., traffic is down, interest is waning and folks are feeling the FB burnout of TMI. Personally, I think he will regret not selling when he had the chance. For me to even take the time to write this, is a bit of a "sacrifice" of my time and brain cells, for which I hesitated. FB has it's pluses, many of which I do enjoy (most of the time), but the "real connections" made with others are what all of us are really after, or at least should be. As for our "time" ... guard it like the "more precious than gold" commodity that it is. Well said, Bobbin ! Ditto to everything ! I too find it amusing when folks post mundane comments. I mean really, who cares ? Great article, Bobbin. I'm the same way - VERY careful on what I "allow access" to on Facebook. Great way to connect with people, but we all have to protect our privacy. Bobbin, I don't think you're so far off the mark. Nor do I think many people will agree with you. Admittedly I don't really use Facebook for my professional voiceover networking - I prefer blogging or LinkedIN for that (much better professional interface). Before my voiceover career started taking off, I worked as a professional stage actor. Facebook became a great way to keep up with all the people I met. Personally, I try to limit my time on Facebook. It can quickly become a time waster and no more social than stalking old friends and looking through their family photos. Thanks for the additional info, Bobbin. Veeery interesting about how not all the posts we'd expect to see actually appear. Don't worry - we still love your FB posts! I confess that I'm always wondering how to squeeze out the time to participate in social media socializing - it's fun to read, of course. 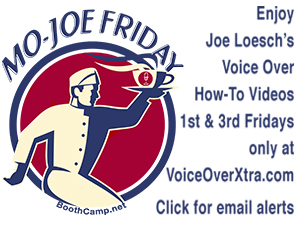 And I do appreciate FB and others for helping me share info about how-to features on VoiceOverXtra (without too much commercialism). But I also feel guilty for not sharing pictures, quips and commenting ... until I look at the pile of notes on my desk about today's projects to finish! I watched some of the "60 Minutes" interview last night, too. 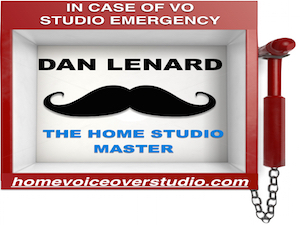 There are pros and cons to all aspects of the networking tools that voiceover pros use. Isn't Twitter "Much More In-Your-Face?" I started on Facebook in the spring of 2007 and have 308 Facebook friends. I am actually aware of who they are and where they "fit in" (former school classmates, people I have actually worked with, relatives). I don't really just want to be a Facebook "statistic" (as opposed to a "friend") for voiceover folks, and that is certainly the case I would guess as some folks have well over 4, 000 "friends." And if you want to network with me, at least have the common courtesy to include an introductory note on Facebook. Would you expect a potential client to hire you with a lack of effort in that regard? Being a friend of a friend of a friend doesn't carry much weight any more. I see people wanting more realness on Facebook and not so much FAKEbook. 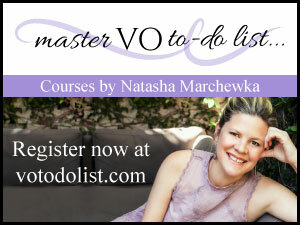 I encourage voice talents to get a blog and share your brand there. Oh boy. I wrote this post for my blog last night, trying to keep it under the radar, when John asked if he could share it here. I know a lot of people are going to disagree with me, to greater or lesser degrees. I know many have FB on their desktops or handhelds, alerting them to new posts they just can't wait to see. I get it. Just be kind, OK? Facebook to me has become kind of like going to the mall; sometimes I feel like being there, sometimes not. All FB posts are now filtered by algorithm too, in case you were not aware. Which is why you'll not be able to see a good friend's posts there for a while, and they'll not be able to read yours. Or you may see the same person all the time. It's more now about how often you post, corporate marketing, topical issues, self-promotion, store specials and advertising. And those are not the reasons I joined.